The perfect polish, shape and symmetry are a natural gift from the water. Each stone is hand chosen from the beaches of the west coast. Every stone is then incorporated into a unique design and individually hand cut. Each is different and special. 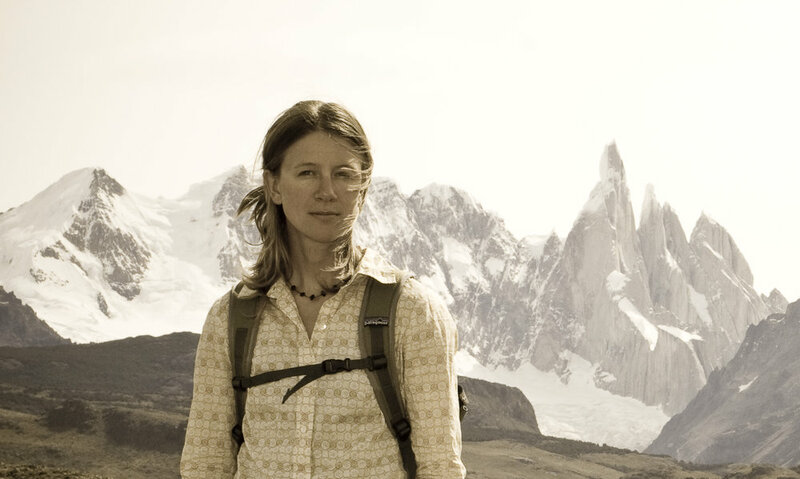 KATE RUTHERFORD, rock climber, biologist and artist travels extensively following her passions, collecting perfect stones and creative inspiration. The Northwest is her base, the green and grey infused with blue always providing calm and rejuvenation after the deserts of Utah or the monsoons of Vietnam. The creativity in making jewelry is the perfect balance to long days of climbing high rock walls or early mornings collecting of scientific specimens. I do not recommend abusing your suspended stone jewelry but they are very strong. The cord is extremely durable and will not break during most activities, though they are not tolerant of sharp objects or flames. The sterling silver pieces are more fragile, and should not be excessively bent. Please contact me if there is damage and I will be happy to repair it.